In a recent article, the top 12 most annoying workplace habits were listed from most to least irritating. While it was a pretty comprehensive list, nowhere in the article were solutions to these everyday workplace anguishes. As the McCoy-Rockford team read on, we couldn’t help but realize the commercial interior products we recommend to our clients would assuage these common annoyances. In fact, three of the most agreed upon annoyances – loud talking, interruptions and complaining – can all be solved by incorporating the right office furniture, flooring, architectural walls and technology. Read on for our solutions. "Three of the most agreed upon annoyances – loud talking, interruptions and complaining – can all be solved by incorporating the right office furniture, flooring, architectural walls and technology." More recently, private offices are being eliminated to create open space plans that promote collaboration and boost productivity, and we all know that means: Fewer walls and a greater opportunity for noise to spread. To combat the chatter and other distracting sounds, consider sound masking products. The white noise they make has proven to help workers focus, tune out sounds and even increase their privacy. 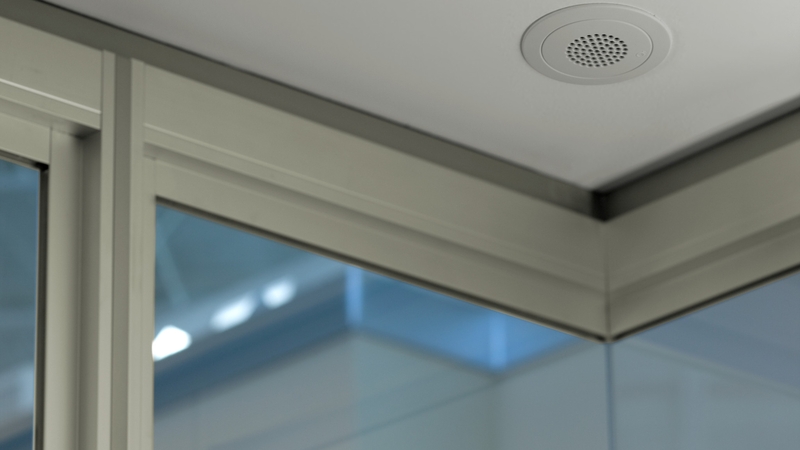 Offering a variety of controls and zoning capabilities, sound masking products can make a big difference in your office, whether it’s thousands or hundreds of thousands of square feet. Plus, if you ever need to page someone or want to pipe in music, you’ll be able to very easily. In a busy office, conference and meeting rooms are usually first-come-first-serve – which can be challenging if you’re trying to plan ahead and need a space for a specific timeframe. If that’s not bad enough, we all know how unproductive it is to cut a meeting or presentation short because another group needs the same space. We’ve all been there, and Steelcase’s RoomWizard is here to help. 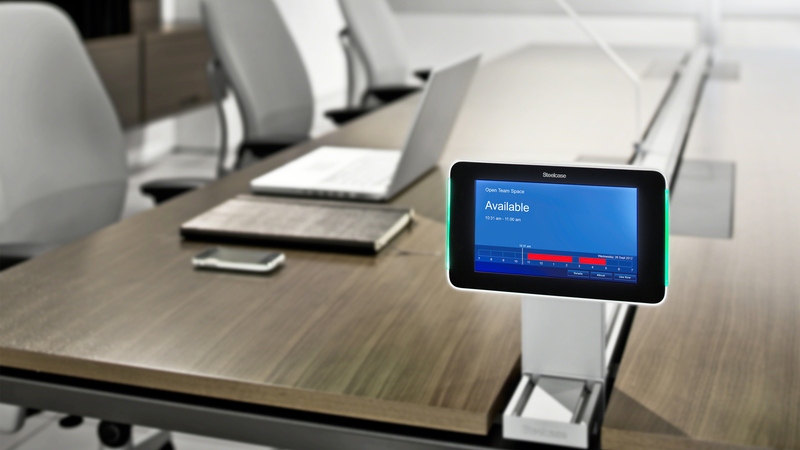 This web-based meeting room scheduling system manages open and closed collaboration spaces, so users know there won’t be an issue when it comes time for their meeting. "We all know how unproductive it is to cut a meeting or presentation short because another group needs the same space." Complaints often stem from dissatisfaction, and in a large office, it can be hard to please everyone. Think about the number of individuals in your office, then think about the different work styles and workstation preferences – they can add up! To mitigate employee discontent, focus on creating a flexible work environment. For example, incorporate height-adjustable desks or benching that provide options and evolve with an individual’s needs throughout the day. 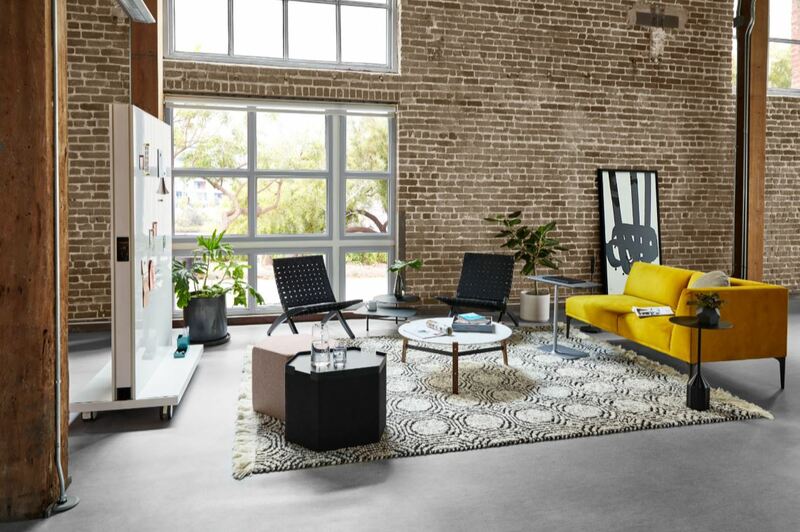 Or think about installing a Steelcase Work Café, a dynamic space individuals and groups can utilize in different ways depending on their job function and project scope. Environments that provide options make people happy, which means there will be less complaining around the office. 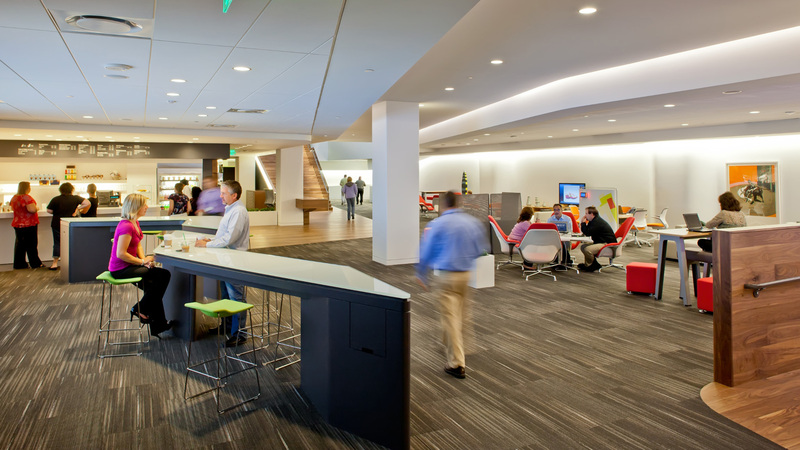 McCoy-Rockford installs a variety of commercial interior products from Steelcase as well as 200 other furniture, flooring, architectural walls and technology manufacturers that help offices build a flexible work culture. Whether your office is looking to put these annoying workplace habits in the past or has challenges of its own, McCoy-Rockford is here to guide you through your options. Contact our team to get started today.